The missing IR filter ensures a higher light sensitivity. Standardversion in green (US / UK), which has 8MP, and the like. Videos in 1080p can record. Since an infrared filter is installed, it is particularly suitable for daylight recording or for places with sufficient light irradiation. NoIR Version in black (US / UK): The specifications (resolution, etc.) are the same, but no IR filter is installed, which makes records with bad light conditions better. This is especially recommended for dark scenes. Both cameras can be directly connected via the CSI connector on board, which means that no USB port is used. The newer Zero models (from generation 2) now also have CSI ports. Alternatively, any USB Webcam (US / UK) can be used as long as the corresponding drivers for Linux are available. However, this is the case with almost all newer cameras. If our Raspberry Pi does not have an integrated wifi adapter, we may need one more because a network or Internet connection is unavoidable. Then you can install the Motion tool, which makes our Livestream possible. If only a single webcam / Raspberry Pi camera is connected, by using /dev/video0 the device should be specified. If you have several devices connected, you have to select the device to transfer the stream. For my USB Webcam I got the following output. We will immediately specify the information for the resolution, etc. in the configuration file. height 480 # Maximum number of frames to be captured per second. Save with CTRL + O and close with CTRL + X. Further options (port, etc.) can also be adjusted afterwards (requires a reboot). The brief description of the settings is however very revealing. In order to test whether our camera is really sending live images, we basically have two options: One way is simply to use the browser (Mozilla Firefox, Chrome, etc.) and the name of the Raspberry Pi followed by the port (default: 8081). If you have not changed the hostname and port, you should be able to see the stream: http://raspberrypi:8081/ (Alternatively, the local IP address can be used, such as 192.168.1.51:8081). Some older browsers do not support this stream (Internet Explorer :-D). Those users may choose the Livestream e.g. on the VLC Player. To do this, simply open the VLC Player and specify in the menu under “Media” -> “Open Network Stream” (CTRL + N) the above address. This is also possible in the VLC Player for smartphones and tablets (Android, Apple): Select “Open Media Address” in the menu and the IP address including port. Depending on the specified Framerate (specified in the configuration file) the image is better or not. Of course, your camera must also support the framerate. If, for example, the camera can send a maximum of 10 frames per second, it does not matter if more are set in the configuration. 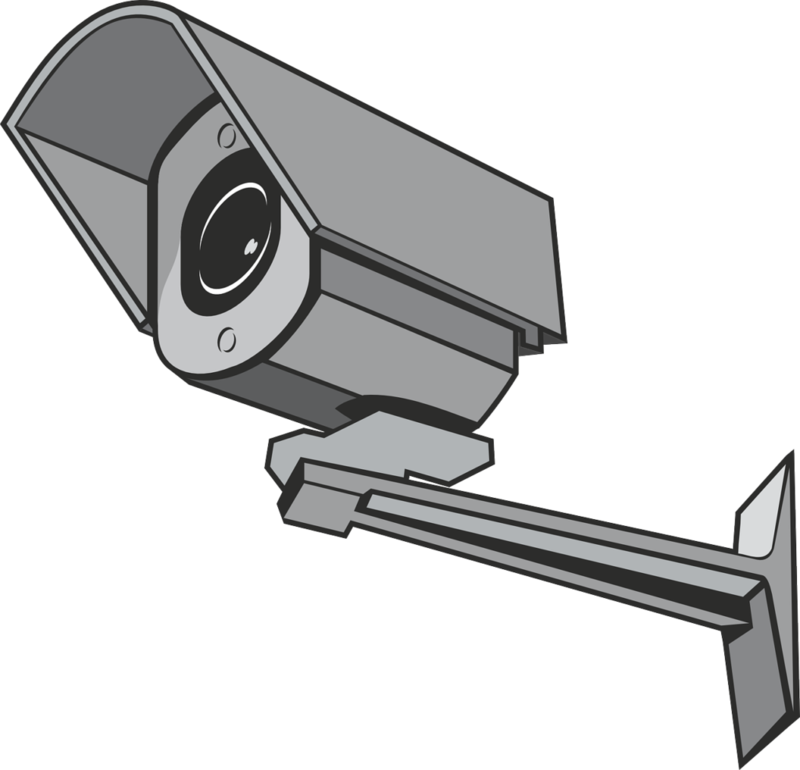 Since it makes little sense to watch the camera in its own network, we also want to access it from outside. For this we need a fixed IP or a dDNS service. Most telecommunication providers provide fixed IP addresses (if at all) only for payment, which is why we want to use a free DNS provider. Of course you can also take another vendor of your choice. If you already have a fixed IP address at home, you can skip this step. Note: Theoretically, you can also use a non-static IP address, but this has the disadvantage that after each reconnect you’ll get a new IP address. Since Provider approximately once a day (usually at night) force a reconnect of your router, a DNS service is highly recommended, since the DNS address does not change. The menu of most routers is accessible via 192.168.1.1 or 192.168.0.1 via the browser. If this is not the case, however, the manual will also tell you how to find the menu. If you use the VLC Player, you must now of course replace the local IP address, which you have previously specified, with your DNS or static IP address (port is still the same). Some routers may fail to do this within the home network. To test it nevertheless at home, you can use mobile data on your phone for example. Turn wifi off and check if you can see the Livestream of the Raspberry Pi surveillance camera. Depending on the Internet connection (upload speed), the picture may be somewhat delayed. How is it possible to stream video from more than one camera? Very helpful article. Had a couple of stumbles, but was able to get a camera running. I am using Raspian Stretch. Cam FPS is 30. So set motion.conf to same. However, camera response is slow. Could this be due to Raspian? I tried with both Raspbian Stretch and Raspbian Stretch Lite , following the instructions, it seems to fail installing Motion – says it is already installed and “sudo modprobe bcm2835-v4l2” fails as well as “v4l2-ctl -V” fails. I am about to give up. Seems new versions break old instructables consistently. Did you activate camera and I2C in your raspi-config? Connect two cameras to the Pi, one USB camera and another Raspberry Pi camera. Set USB camera to port :8080 and Pi camera to :8081 ports. What it does it sets two cameras on two ports from one device. 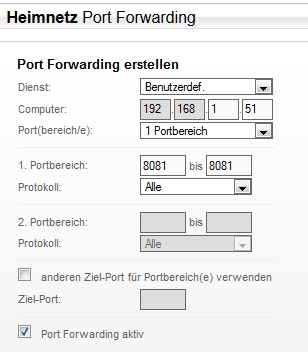 Once that is set, go to web browser and enter IP address or Hostname of the Pi followed by port numbers. How did you do to assign different ports to the cameras? Audio options? I had a lot of trouble getting it up and running (I’m an RPi noob), but after a quick sudo apt-get upgrade it was solved and I was streaming. How do I incorporate live audio into the stream? I glanced through the /etc/motion/motion.conf and noticed tons of things to tinker with, most notably, the motor controls for servos, which I’ll be playing with more down the road. I have a plan to build a home security camera system utilizing an Octapi server as the base, with 8 dual servo controlled wifi cameras based off of pi zeros. Video is great, but for my purposes, video with audio would be ideal. Thank for steam but i always full my disk space. How to fix it!!!. How do I change the way motion is invoked? Hello and thank you for the nice post. I have attached the official camera module and followed the steps gingerly. I have rebooted pi and motion service several times. When I open up the “sudo nano /etc/modules” and then I input the line “bcm2835-v4l2” below the “i2c-dev” line, it still doesn’t change anything and I still get the same “can’t reach this page when I try to check the livestream. Any thoughts? Thanks! I am using a Raspberry Pi camera. I can grab a picture off of it. I am using bcm2835-v4l2 in etc/modules. I have a /dev/video0, but when I go http://x.x.x.x:8081 I get a grey screen saying “unable to open video device”. Any suggestions? The Raspberry Pi camera is not support by default motion package, go to “https://motion-project.github.io/” and download the correct Motion package according your SO. I’m using Raspbian stretch and used “pi_stretch_motion_4.1.1-1_armhf.deb” Worked OK. See at ” https://www.bouvet.no/bouvet-deler/utbrudd/building-a-motion-activated-security-camera-with-the-raspberry-pi-zero” if you want more details. This made the live part go way faster. I can’t find it. I found all the rest, but that one looks like German and mine is in English. Plus, I tried finding Nummer by ctrl+W, but it says “Nummer” not found. Also: in sudo modprobe bcm2835-v4l2, I’ve got nothing and when I input /dev/video0, it says access denied…. I know there is a lot of questions, but please help..
How to use the -m switch to disable the motion activated. is it when we start the service? Explain where and how you would add a command so it runs during the boot (sudo modprobe bcm2835-v4l2), that would make the article complete. I have one issue (i have the system one day running, so not sure whether this is a persisent issue): It seemed the camera wasn’t correcting its brightness/exposure this morning. So the stream and images were overexposed (80% white). After a reboot it was fine. Thank you for creating this guide. I’ve successfully created it and streaming in my LAN as a baby monitor. But for some reason I occasionally can’t access and the error states that the connection is refused even it was working a few minutes ago, is there a fix on it? it automatically boots up every time. Will this program start on boot? I don’t want it start automatically, use motion sensing, or save to the disk. I just want a stupid simple live stream that I can start when and if I want it too. Thanks. Thank you, great job! I have completed the project! I have tried using this tutorial and it does’t seem to want to work for me. I have gone over it multiple times and i still can’t get it to work. The IP address for my pi is correct but when i try to connect it says this site cant be reached and refused to connect. If anyone can help i would be grateful.